Yeoal's Blogzine™| Nigerian Urban, Gossip and Entertainment Site: Is Femi Fani Kayode Trying to Form Oduduwa like Nnamdi Kanu is doing With Biafra? 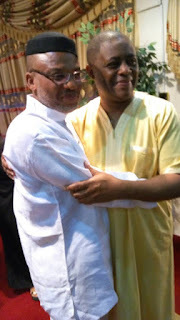 Is Femi Fani Kayode Trying to Form Oduduwa like Nnamdi Kanu is doing With Biafra? I think so. The vocal politician who met Nnamdi Kanu; agitator for Biafra nation, has been calling for the formation of Oduduwa; a country that would be formed by only the Yorubas.